Will Advanced Practice Registered Nurses (APRNs) be required to obtain a Doctor of Nurse Practice degree? Requiring an APRN to obtain a Doctor of Nursing Practice (DNP) would require a legislative action. Currently, there is no mandate regarding this educational requirement. You may review the APRN Consensus Model on the American Nurses Credentialing Center (ANCC) and National Council of State Boards of Nursing (NCSBN) websites for further information with your inquiry. Are graduates of Excelsior College’s nursing education program eligible to sit for the NCLEX in Florida? Graduates of Excelsior’s ACEN (formerly NLNAC) accredited nursing education programs are eligible to apply to the Florida Board of Nursing for licensure by examination pursuant to section 464.008, Florida Statutes. Excelsior nursing graduates who meet the requirements for licensure in Florida are granted full licenses without limitations or conditions. What can I do to determine if a nursing task which includes procedures/treatments is within my scope of practice? Nurses have the option of filing a “Petition for Declaratory Statement”. Declaratory statements are an agency’s opinion as to the applicability of a statutory provision, or of any rule or order of the agency, as it applies to the petitioner’s particular set of circumstances (s. 120.565, F.S.). This page is a listing of declaratory statements. What is the process for acquiring a DEA registration number from the Drug Enforcement Administration (DEA)? Registration numbers are linked to state licenses and may be suspended or revoked upon any disciplinary action taken against a licensee. 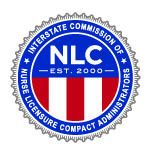 What is the enhanced Nurse Licensure Compact (NLC)? In March 2016, the enhanced Nurse Licensure Compact (NLC) was enrolled into Florida law. The enhanced NLC will allow Florida’s registered nurses (RN) and licensed practical nurses (LPN) to have one multi-state license with the ability to practice in all nursing compact member states. The enhanced NLC will come into effect either when 26 states pass legislation supporting the enhanced NLC or on December 21, 2018, whichever comes first. For more information about the NLC, please visit our NLC Microsite. How can I find CRNA information? If you are looking for information on a CRNA, search under using APRN. The 2017 NCLEX Candidate Bulletin and 2017 NCLEX Information Flyer (effective Jan. 1, 2017) is now available on the NCSBN website. The 2017 NCLEX Candidate Bulletin is an important resource for candidates seeking licensure/registration in the U.S. and Canada. It provides information on how to register to take the NCLEX, how to schedule an appointment, the rules that they are expected to follow on the day of the exam as well as information on receiving NCLEX results. The Bulletin is available in both English and French. The NCLEX Information Flyer provides a quick reference for important NCLEX information for candidates. The 2017 NCLEX Candidate Bulletin and 2017 NCLEX Information Flyer can be found on the Candidate Bulletin and Information page of the NCSBN website. For more information about this advanced practice certification, please visit the “Latest News” section of our website at https://floridasnursing.gov/latest-news/important-legislative-update-regarding-hb-977/. What is the State of Florida doing to counteract prescription drug abuse? Do I still need a Visiting Nurse permit if I have a Multi-State license? No, the Nurse Practice Act, Section 464.0095,FS, article 3 allows for any RN or LPN to practice as an RN or LPN in each party state, using multi-state licensure privileges, without a required nurse permit. Am I required to have a US Social Security Number to obtain a Florida nursing license? A Social Security Number (SSN) is not required in order to take the exam; however, Florida law prohibits a license from being issued until a SSN is received. Prior to being made eligible for the exam, any references to the SSN still pending are provided solely for the information of the applicant. For additional information with regards to the Social Security Number process, you may contact the Social Security Administration at www.ssa.gov or by calling 1-800-772-1213. Once you have received your SSN, you may submit a copy of the SSN card to our office by fax or regular mail. Upon receipt of the SSN card, if your file is 100% complete you will be issued a license. If any further problems are found you will be notified in writing of what items may be needed. Do I get two separate licenses; one for my RN license and one for my APRN? Yes. Effective October 1, 2018: Chapter 2018-106, Laws of Florida transitioned ARNP certification to APRN license. What qualifications must I have completed to qualify as an APRN? Effective July 1, 2006, all specialties of Advanced Practice Registered Nurse applying for licensure in Florida must provide proof of National Certification. Do I need to have a Florida RN license in order to apply for an APRN license? No, any nurse desiring to be licensed as an Advanced Practice Registered Nurse must apply to the department and submit proof that he or she holds a current license to practice professional nursing. Does an APRN need to send a protocol to the Board of Medicine? 458.348(1)(a), Florida Statutes, only requires the physician to report the number of APRNs being supervised. You can have the physician complete the form in this link https://ww10.doh.state.fl.us/pub/medicine/PDF%20Forms%20on%20Web/APRN%20EMT%20Paramedic%20Protocol%20Form.pdf to indicate that a relationship has been established or terminated. How can I find out about requesting an exemption? Licensees employed or seeking employment with a health care facility licensed by the Agency for Health Care Administration may find more information regarding exemptions, and the exemption applications at https://floridasnursing.gov/resources/exemptions/. How can I find declaratory statements? How do I request a declaratory statement or variance and waiver of a Board rule? Information on the requirements and how to file a Declaratory Statement can be found online on the Declaratory Statements page. Please note, a variance or waiver can only be granted for a Board Rule, not a Florida Statute. Where can I find a list of all the approved and accredited pre-licensure nursing education programs in Florida? 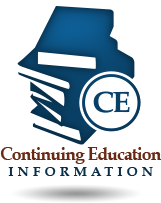 A list of all the approved and accredited pre-licensure nursing education programs in Florida are available on website entitled “Compare Florida Prelicensure Nursing Education Programs”. What is the difference between an “approved” and an “accredited” pre-licensure nursing education program in Florida? An “approved” nursing education program is a program for the prelicensure education of professional or practical nurses that is conducted in Florida at an educational institution that is approved and regulated under s.464.019, Florida Statutes. Approved nursing education programs are not required to be accredited; however, many programs are regionally or nationally accredited through educational or vocational accrediting agencies. An “accredited” nursing education program, as defined by s. 464.003, Florida Statutes, is a program for the prelicensure education of professional or practical nurses that is conducted in the United States at an educational institution, whether in Florida, another state, or the District of Columbia, and that is accredited by a specialized nursing accrediting agency that is nationally recognized by the United States Secretary of Education to accredit nursing education programs Accreditation Commission for Education in Nursing (ACEN) or Commission on Collegiate Nursing Education (CCNE)). Will my choice of attending one rather than the other impact my eligibility to sit for the licensing examination? Accredited programs included on the Florida Board of Nursing’s comparative website are programs that have a physical presence in the state of Florida. Program status of out-of-state nursing education programs may be verified through the specific Board of Nursing that issued approval or through a national nursing accrediting body (ACEN or CCNE). What is the significance of nursing education program NCLEX passage rates and the NCLEX National Average passage rate? The NCLEX or National Council Licensure Examination is the national licensing examination for practical and registered nurses. Quarterly and cumulative passage rates for first time test takers are calculated and published by a contracted testing service and are made available to the Florida Board of Nursing and are posted on the website. The NCLEX National Average passage rate is the average number of all member first time test takers for a reporting period, calculated by the National Testing Service using the test takers’ scores during the reporting period, to determine the average of the conglomerate scores. Pursuant to s.464.019, F.S., the Florida Board of Nursing monitors these passage rates to ensure the achievement of Florida approved nursing education program graduates. Approved nursing education programs must achieve a graduate passage rate that is not lower than 10 percentage points less than the average passage rate for graduates of comparable degree programs who are United States educated, first-time test takers on the NCLEX during a calendar year. An approved nursing education program shall be placed on Approved/probationary status by the Florida Board of Nursing pursuant to s. 464.019 for failure to meet the required passage rates on the NCLEX for two consecutive calendar years. For more information on NCLEX passage rates or to view individual Florida nursing education program NCLEX passage rates on our interactive website entitled “Compare Florida Prelicensure Nursing Education Programs”, please visit our Education and Training Programs page. If I graduate from a nursing education program with Approved/probationary status, will I be able to sit for the NCLEX? Yes. Graduates of nursing education programs with Approved/probationary status are eligible to apply to the Florida Board Nursing for licensure by examination. Why is a particular nursing education program that I am interested in not coming up on my comparison search on the interactive pre-licensure nursing education program website? The comparison search data is refreshed nightly and may not reflect information for newly approved or accredited programs. The program may also not be an approved or accredited nursing education program based in Florida. Please contact the Florida Board of Nursing at MQA_NursingEducation_Correspondence@doh.state.fl.us to confirm the nursing education program status. What is the difference between the “Accrediting Body” and “Accreditation” categories on the nursing education program comparison website? The “Accrediting Body” category identifies the specific accrediting agency. The “Accreditation” category indicates the status applied to each nursing education program by the Florida Board of Nursing to indicate whether the program has specialized nursing accreditation, other national or regional educational accreditation, or no accreditation. Nursing education programs may have multiple listings under both categories. The percentage of the number of students tracked from program entry to graduation. Where can I view the applications for approved nursing education programs submitted after July 1, 2009? Where can I view an approved nursing education program’s annual summary of compliance with s. 464.019, Florida Statutes? How can I find out which nursing education programs in Florida offer courses online? Nursing education programs may deliver course content through several venues. Please contact the nursing education program directly for this information. How can I find out which nursing education programs in Florida are LPN-RN bridge programs? Where can I find the Florida law and rules related to nursing education programs? Where can I find the application for a new nursing education program and the annual report? The application for a new nursing education program is available on our Practical & Registered Nurse Education Program renewal page. How may I contact the Board of Nursing with questions regarding the accuracy of nursing education program information? What is the process for placing programs on probation? Beginning in 2012, approved nursing education programs that performed below the minimum standard for NCLEX passage rates for two consecutive calendar years will be placed on probation pursuant to section 464.019(5), Florida Statutes. NCLEX scores for the previous calendar year are released in January of each year. A program on probation has one year to meet the minimum standard for NCLEX passage rates. If a program meets the minimum standard, the program will be removed from probation. A program on probation that fails to meet the minimum standard will be terminated by the Board of Nursing. Pursuant to Florida law the board shall deny a program application for a new prelicensure nursing education program submitted by an educational institution if the institution has an existing program that is already on probationary status. Where can I find the minutes from the latest meeting? Will a nurse still be able to practice nursing while participating in the Intervention Project for Nurses (IPN)? Initially, the nurse may be required to refrain from nursing practice during the evaluation phase and any resulting treatment. The nurse may resume nursing practice when given authorization to do so by IPN or the Florida Board of Nursing. The approval for a return to nursing practice is based upon recommendations from approved treatment providers in consultation with IPN staff. Practice limitations are often required during the early phase of return to practice. How long does it take to be approved for licensure by endorsement? Can I endorse into Florida if I have an active license in another state but have never taken the NCLEX or State Board Test Pool exam? If you can obtain verification you have been working in another state, jurisdiction or U.S. territory for two of the last three years you may apply by endorsement. Where do I find information about the fingerprinting process? Information about the electronic fingerprinting process can be found at our Background Screening page. Where can I find the application for APRN? You can apply by using our online services portal at http://flhealthsource.gov/mqa-services or you may find a PDF version of the application on the Resources page. Can a Florida RN upgrade to an APRN? No. The APRN license is independent from the RN license so it will be a different license. You can apply by using our online services portal at http://flhealthsource.gov/mqa-services or you may find a PDF version of the application on the Resources page. How can I get an exemption from the Malpractice Insurance requirement? Use the Financial Responsibility Form. Just print it out, complete the form and send it in. Can nurse practitioners have their own prescription pad? Do I need a dispensing license? If it is in your protocols that you are to dispense medications for a fee, you must contact the Board office to be authorized to dispense. Dispensing is writing and filling a prescription and selling the medication to a patient. Giving samples is not dispensing. The dispensing license must also be renewed when renewing your APRN license. – Dispensing Practitioner Application. 464.012(3), F.S. An advanced registered nurse practitioner shall perform those functions authorized in this section within the framework of an established protocol which must be maintained onsite at the location or locations at which an advanced registered nurse practitioner practices. In the case of multiple supervising physicians in the same group, an advanced registered nurse practitioner must enter into a supervisory protocol with at least one physician within the physician group practice. Where does the nurse need to send a protocol? Effective June 23, 2017, under HB453, in accordance with 464.012 and 458.348 Florida Statutes under Chapter 456, the Board of Nursing will no longer be required to receive, review, or maintain Advanced Registered Nurse Practitioner protocols. How many APRNs can be listed on a protocol? Only one APRN can be listed on a protocol. Is a DEA number required for the physician on a protocol? Yes, all physicians listed in a protocol must include their signature, license number and DEA number. Are original signatures required on a protocol? The original protocol must be filed at the APRN’s practice location site(s). Does the supervising physician that I list on my protocol have to be licensed in Florida? Yes, the supervising physician that you list on your protocol must be licensed in Florida. Can an APRN only list the facility names where they will be working on the protocol? No, the APRN must include the practice name(s) and address(s). Do APRNs who work in a federal facility need to submit a protocol to the Florida Board of Nursing? No, according to the section 464.022(7), F.S., an APRN who is currently employed by the U.S. government, or any bureau, division or agency thereof does not need to submit a protocol. I am currently moving to another state, but I want to keep my license active in Florida. Do I still need to submit a protocol? No, any APRN who is not currently practicing in Florida does not need to send a protocol, but you will need to submit a Financial Responsibility Form to our Board office and check the corresponding box. Are the protocols reviewed or approved by the Board of Nursing? No. All Advanced Registered Nurse Practitioners are required to establish a protocol which must be maintained on site at the location or locations at which he/she practices. In the case of multiple supervising physicians in the same group, an Advanced Registered Nurse Practitioner must enter into a supervisory protocol with at least one physician within the physician group practice. Should the protocol state which medications can be prescribed? Yes, you must list all medications that the supervising physician has agreed you may prescribe. You may want to use generic names and/or categories of medications instead of using trade names, i.e., antibiotics, antiemetics, etc. 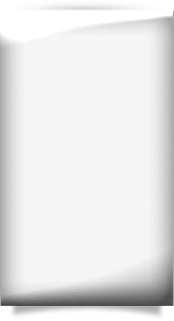 A declaratory statement is a means for resolving a controversy or answering questions or doubts concerning the applicability of statutory provisions, rules, or orders over which the board, or department when there is no board, has authority, pursuant to Rule 28-105.001, Florida Administrative Code. A petition for declaratory statement may be used only to resolve questions or doubts as to how the statutes, rule, or order may apply to the petitioner’s particular circumstances. A declaratory statement is not the appropriate means for determining the conduct of another person or for obtaining a policy statement of general applicability. A petition for declaratory statement must describe the potential impact of the statutes, rules, or orders upon the petitioner’s interests. Can I challenge the Licensed Practical Nurse (LPN) Examination? Applicants who have successfully completed courses, equivalent to practical nursing education in a professional nursing program, may qualify for NCLEX-PN based on practical nursing equivalency (PNEQ). All professional courses (RN) taken must have been successfully completed with a grade of “C” or better and must have included theory and clinical instruction. The professional or practical nursing curriculum must document clinical experience and theoretical instruction in medical, surgical, obstetric, pediatric and geriatric nursing. Each curriculum plan must document clinical training experience in appropriate settings that include, but are not limited to, acute care, long-term care and community settings. Pursuant to s.464.019, F.S., the Florida Board of Nursing monitors these passage rates to ensure the achievement of Florida approved nursing education program graduates. Approved nursing education programs must achieve a graduate passage rate that is not lower than 10 percentage points less than the average passage rate for graduates of comparable degree programs who are United States educated. An approved nursing education program shall be placed on Approved/probationary status by the Florida Board of Nursing pursuant to s. 464.019 for failure to meet the required passage rates on the NCLEX for two consecutive calendar years (http://laws.flrules.org/2014/92). What do I need to qualify for the Practical Nurse Equivalency Examination (PNEQ)? All professional (RN) courses taken must have been successfully completed with a grade of “C” or better and must have included theory and clinical instruction. The professional or practical nursing curriculum must document clinical experience and theoretical instruction in medical, surgical, obstetric, pediatric and geriatric nursing. Each curriculum plan must document clinical training experience in appropriate settings that include, but are not limited to, acute care, long-term care and community settings. Applicants for PNEQ must have their school submit official transcripts, course descriptions and a completed Practical Nurse Equivalency Application Letter (found in the Examination application). Can I challenge the Registered Nurse (RN) Examination? Only graduates from an RN program qualify to take the RN NCLEX. Where can I find a school to train in nursing? What does Graduate Nurse Status mean? Any applicant who fails to appear for the first examination for which they have been made eligible shall not practice nursing until such time as the applicant passes the NCLEX examination. Only RN applicants by examination who have been approved by the board may use the term “Graduate Nurse” or the abbreviation “G.N.”. Only PN applicants by examination may use the term Graduate Practical Nurse or the abbreviation “G.P.N.”. GN and GPN statuses expire at the date listed on the Graduate Nurse letter or when the applicant takes the examination, whichever comes first. Can I work as a Graduate Nurse (GN) or a Graduate Practical Nurse (GPN) while I am waiting for approval? No. You can only work as a GN or GPN if you have received approval from the board. When will I get the Authorization to Test (ATT)? Once the board makes you eligible to take the examination your approval will be transferred to Pearson VUE, the examination vendor, via electronic transfer within 2 business days. Pearson VUE will email the Authorization to Test (ATT) if you provided an email address to their office or mail it to you if you did not provide an email address. Where can I take the NCLEX examination? NCLEX testing takes place at Pearson VUE centers. Pearson VUE will provide you with information about the available test centers. You may schedule an appointment for any center. You do not have to take the NCLEX in the same jurisdiction in which you are seeking licensure. How often is the NCLEX given? Testing is available at Pearson VUE centers 15 hours a day/six days a week. Exams are not offered on Sundays and holidays. Testing availability is subject to change. How long do I have, after I am approved, to actually take the NCLEX? The Authorization to Test (ATT) is valid for 90 days. The ATT contains your test authorization number, candidate identification number, and an expiration date. This date cannot be extended for any reason. Test centers may fill up quickly, waiting to schedule your testing appointment may significantly limit dates the center can seat you. If you wait until your ATT is close to expiring, Pearson VUE may not be able to seat you prior to its expiration. If this occurs, you will be required to re-register and re-pay to take the examination. If I fail the exam, how long do I have to wait to retake it? You must wait a minimum of 45 days between each examination. I missed my scheduled examination date. What should I do? If you either fail to arrive, fail to reschedule, or cancel your NCLEX appointment without giving three business days’ notice to Pearson VUE where you are scheduled, you will forfeit your examination fee and your Authorization to Test will be invalidated. In order to take the NCLEX, you will need to reapply to Pearson VUE and pay the fees again. GN/GPN status is lost when you fail to take your scheduled examination. Can I change my application from examination to endorsement or from endorsement to examination? Yes, but you must request a change in the status of the application in writing to the board office. The request for the change will not be granted if the application has already been approved. What should I do if my name changes after I apply, but before I am licensed? Is there any other way to find out if I passed the NCLEX? You can determine if you have been issued a license number on our website, after testing, by visiting the Health Provider Lookup Screen. License numbers are generally issued within 1-3 business days after successfully passing the NCLEX examination. License numbers are not available on the same day you take the examination.